Posted on 05/08/2017 at 1:47 pm. I was listening to an album simply titled III by a band called Bone Man just a little while ago and found my thoughts drifting as they sometimes do when I listen to good music. As my mind wandered I recalled a conversation with a friend about which sense, hearing or vision would hurt the most to lose. My friend figured vision would be the hardest and said he’d rather go deaf before going blind. However I was of the opposite opinion because while blindness would present huge challenges, the very thought of losing my ability to hear and enjoy music would be like a curse and this album really made me appreciate my ability to hear music. If I were to describe this trio of Deuschlanders from Kiel, Germany known as Bone Man with one word I’d say sublime. Described by fans reviews I’ve read as Heavy Psych Fuzz and Grunge. I can definitely hear the influences of Alice in Chains, Stone Temple Pilots, and Eric Clapton in Bone Man’s music. Although not nearly as fuzzed out as II, Bone Man III seems to have upped the fuzz and sharpened Arne’s bass guitar a bit more to accent front-man Marian’s guitar leads and vocals. When I gave III a spin for the 1st time I found myself letting the bass and drums played by Ötzi lead me into the guitar leads and vocals. Lyrically the album’s songs have a bluesy feel to them. Among my favorites were: ‘AMNESI’, ‘COLD ECHO’ and ‘FALSE AMBITION’. What I really find most interesting about III is how it messed with my perception of time. It’s a tight album with songs that are all under 6 minutes, yet when I listened to it I felt like I was listening to an AOR Rock classic full of 7 to 10 minute songs. I don’t know how the band does this but it’s pure genius. If you like the 90’s grunge movement, fuzz, or Eric Clapton then you will like Bone Mathis album. Bone Man’s III is an album I can easily see in a cliquish music heads’ collections as well as hitting the rock charts. Leading me to ask “When are you coming to The United States Bone Man? Posted on 04/21/2017 at 1:03 pm. 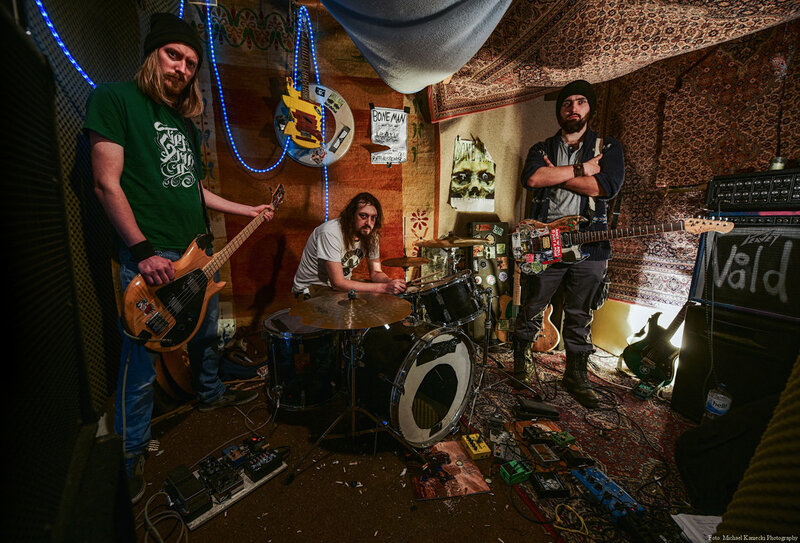 SAUTRUS describe themselves as a ‘heavily tuned psych-rock band skillfully combining elements of 60’s rock with contemporary metal creating a completely mind blowing sound’. Bringing everything to the table and then some is how I read that and believe me, they have done just that with this latest offering. From harmonica to throat-singing, they have not left a lot out of the frying pan here and each flavor adds to each of the seven tracks served up and you can tell from the outset that this is not some new group of guys trying to find their way, but are indeed seasoned musicians that have spent their time honing their identity from endless rehearsals to studio time to sharing the stages with a vast array including acts ranging from URIAH HEEP to SAMSARA BLUES EXPERIMENT and beyond. Forty one minutes in length, opener ‘The Way’ sets a great pace for this album with so many different segments strung seamlessly together for the entire seven minutes plus. ‘Good Mourning’ starts with a smoky blues harp intro before the rest of the band kicks in and punches you right in the chest with one of those tempos that pulls you along like a train and you can’t help but reach out and turn up to ‘still not loud enough’!! That harmonica keeps it’s hold on your head as the band shows a solidity of form that had been hinted at with previous tracks but not realized until this album. 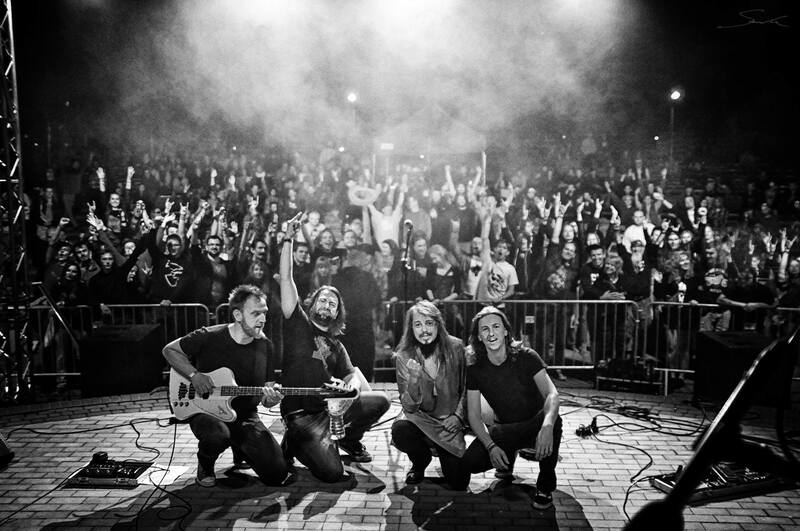 ‘The Fungus’ comes right out with a jazz-swing tempo that makes you sway until the SABBATH sounding body of the song really begins and you can almost taste the smoke in the air as the bass rumbles your walls throughout this stoner/sludge epic feeds the need for exactly this, something so solid and dripping in the energy of pure music, even as it fades off to the PURE psych ‘Cats On The Fence’ that drips of a HANS KERSHI style vocal amid the loopy science-fiction frequency bounces showing yet another side that we may not have exactly expected but have to smile with none the less. ‘Synopticon’ wastes zero time in stepping up as a pummeler with a driving run up and down the necks of the stringed instruments and multi-layered vocals swirling as so many embers glowing in their combined dance through the air surrounding you, even as each step follows this tale unfolding with the passion pushed into this tortured mic “To survive, survive…” The break at 5 minutes is right on time, letting you grab a deep breathe as the guitars scream to and against each other until the cymbal run picks it back up to resume the run to the end, staying up front to catch each note and word given. ‘Shotgun’ is the perfect shifting of gears and right away, you are moving along. Complex and savory, the flavor is dark and heavy as you can want it and when that vocal hits, full forward is the only way to travel alongside. So many elements perfectly combined to create what I would hope is a staple of SAUTRUS’ live set that a crowd would have zero options but to whip it up to full frenzy as these guys hammer away showing a mastery of their craft with a musicianship that is lacking with so many. Closer ‘When The War Is Over’ is amazing in it’s acoustic simplicity after the previous six tracks, each showing a complexity of their own and if I didn’t know, I would swear was indeed H. Kirsh doing a new BLIND GUARDIAN song. Perfect cap on an amazing release. BUY it the second you can get it and support them if you are lucky enough to have them in your area!! Phase 2 has been Officially Launched. Welcome Independent Record Shops, Record Labels & Venues!! Posted on 10/17/2016 at 4:15 pm.